I met Shannon through Layne Staley from Alice In Chains. Like Layne with Kurt Cobain, he and Shannon were always checking in with each other. 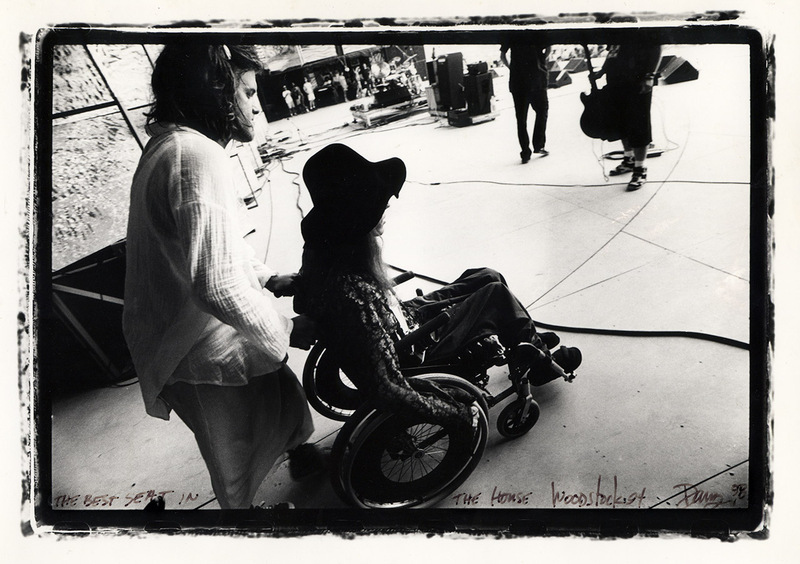 “How is little Layne,” Shannon would say, and Layne also loved Shannon. He had a great appreciation, which to me felt like an affection for a diversity of singers. He would emote about how brilliant George Michael was or sell me on how hard Blind Melon rocked. He believed in them so much that he took me to one of their shows at Rckndy where he made it his mission to introduce me to Shannon. Shannon also already knew who I was thanks to Layne so we were all immediately off to the races. There was a lot going on at this time with these bands so the flow was quick. Each band was a different family, some sharing similar crew and management or record labels but all sharing a connection and barbecue at festivals. 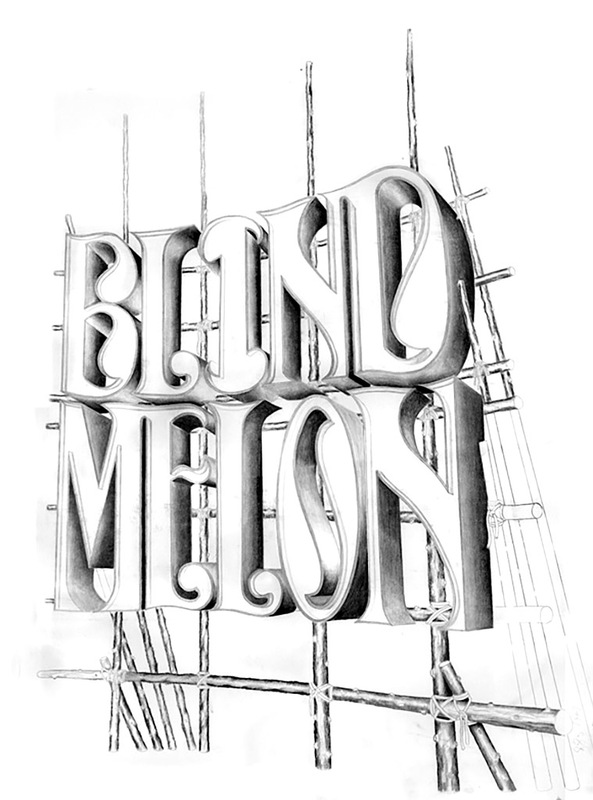 Of all the bands I worked with, I feel most fortunate to know Blind Melon. They took a complete shot at writing music together, as a whole, and experiencing life together as it swirled about their Yellow House. Wherever they were, I could visit each member working hard in their own room, as a creator in their own totality, with studied knowledge of several disciplines, sensitive personalities and beautiful families. They eventually became my neighbors on Capitol Hill in Seattle. 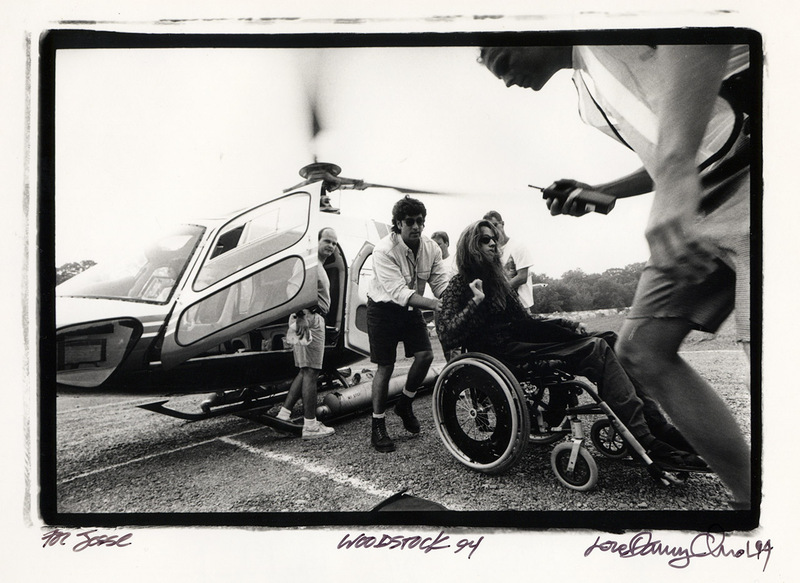 I traveled with them across the country, through the South and in 1994, to Woodstock where we flew in with helicopters. 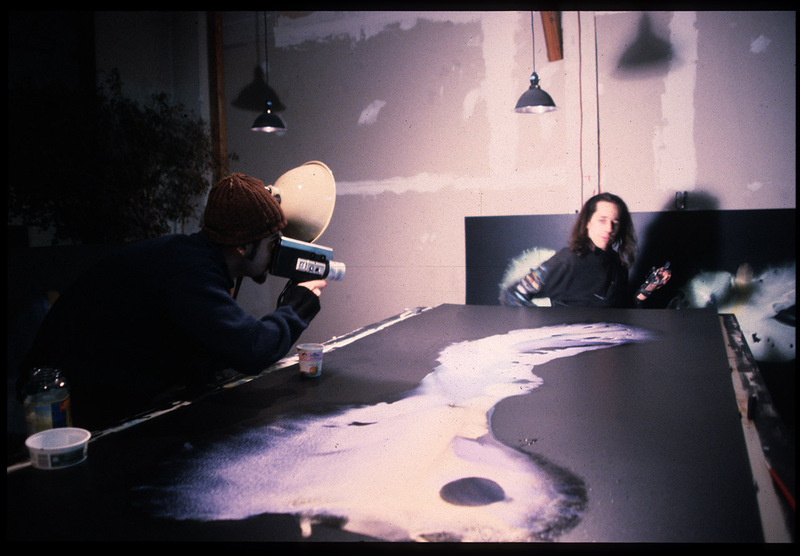 Here is gutarist Chistopher Thorn shooting Super8 on a visit to my Seattle studio as photographed by Chris Murphy. Guitarist Rogers Stevens would become one of my best friends and a model of artist-living. 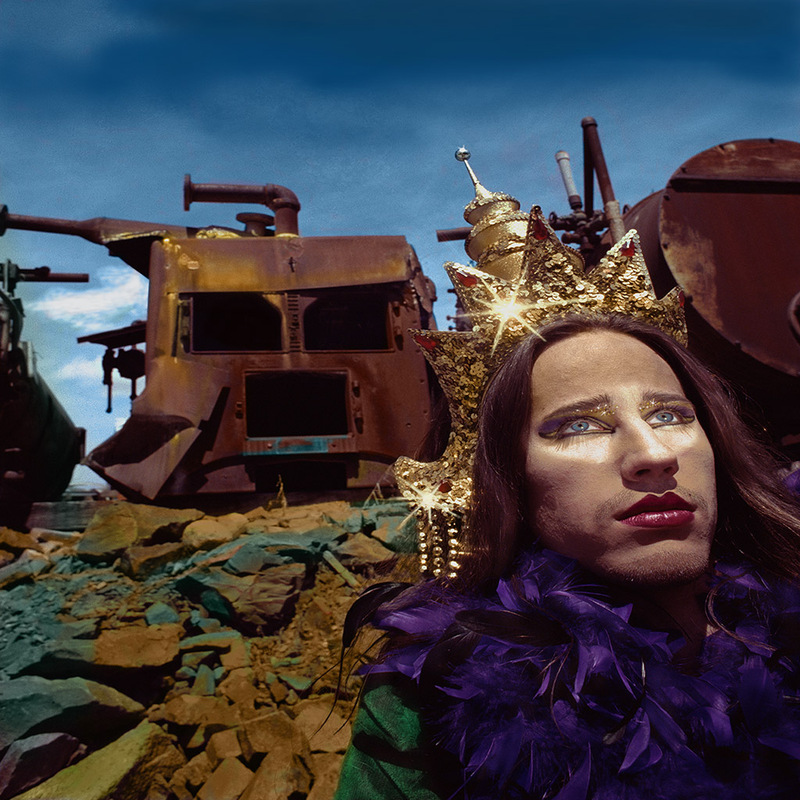 He has always been hard into literature, a philosopher, writer and painter, he went on to get his law degree while still playing in the band. He was my safari guide through New York on several expeditions where I met many great artists. He would see someone in a bar, drink to the love of life, say we should get together tomorrow, then wake up hung over, drink carrot juice and call them and make a date to go to a museum together. Artists often have to work alone and their work is powerful because it can move outside of time, with an awareness and play from several positions at once. Music is the medium of time and when we hear a musician, we are with them in their same time together. A photographer however, sees how life is working and can affect the future. Not only do they make the news and the way history is documented, through their eye we can see the importance of our own actions. The real medium is how we move, the spirit and attitude with which we exist that has the greatest influence in the end. You will often hear me extolling the virtues of Danny Clinch, a photographer I first met on Lollapalooza in New York, and then would coincidentally realign with as Blind Mellon’s photographer, who has also been working on a film on the band and Shannon Hoon which will be released when he has done justice to their talents and his. I wrote the forward to Danny’s first book of photography, Discovery Inn. When I know where I am, my movements become routine. My familiarity slows me and from this position I feel my moves are planned, creating motion only to move in the same place, not to travel. I have learned the importance of taking chances with my movements. I accept that the majority meet with humiliating err, but a golden few are precise, and surprise even me with their accuracy. The places these movements take me are sacred. I cherish the pain in my shins and toes as it places me in my travel, giving me an unexpected opportunity to acknowledge my life and these sacred places toward which I blindly stride. As the great photographer Robert Capa said, “If your photos aren’t good enough, you are not close enough.” Danny gets in there because you know he is appreciating what is happening. When his shutter clicks, you feel you are part of something important. 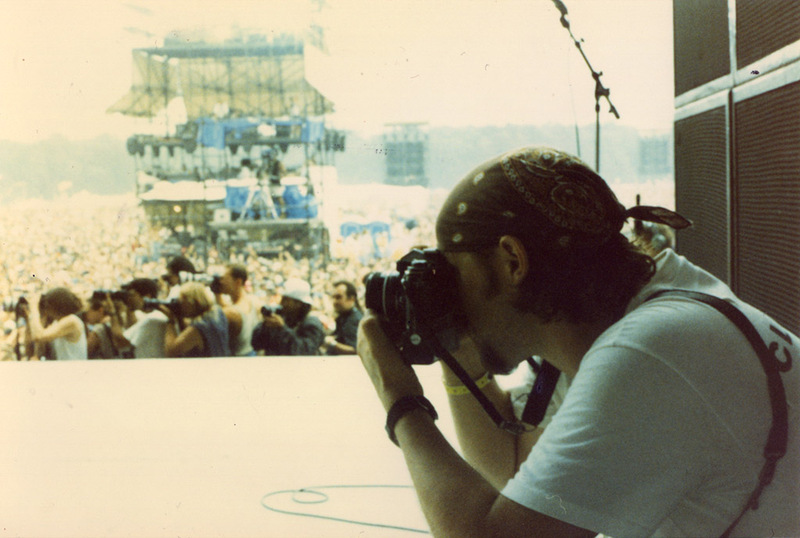 Here is a photo I took of him on stage at Woodstock ’94. I could make an entire website around the incredible photos he took of me during this period of my life. 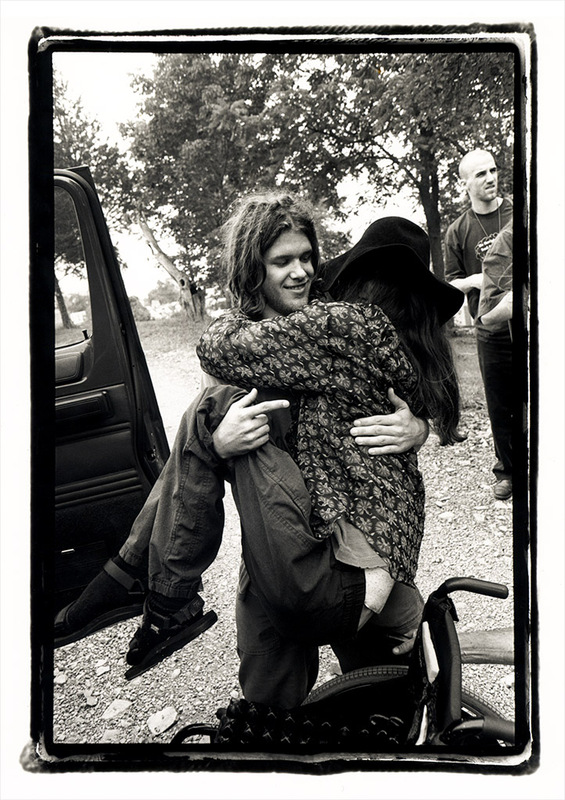 I am fortunate that some of them can also illustrate my time Blind Melon. I love professionals, as an example with the photo of the helicopter by Danny, below, where he adjusted the ISO and aperture without looking down, laughing and moving fluidly with his friends. Since he told me that he often dreams of manually adjusting the camera, I endeavored to learn the tool as fluently. He caught all these elements, a slight blur on the helicopter blade, the walkie-talkie-security leaning in to the frame, my hand up, and Chris Jones, the manager a Blind Melon and Guns and Roses, pushing me out of the landing. …and here, look at Shannon’s self possession, pointing to me while Danny takes his picture. It is educating to be between a person who is living a life aware of themselves, their place in the world, and a photographer who sees. There are things we can never fully acknowledge, and largely we live our lives a safe distance from what is possible and how short time is for us, an understanding made clearer at a funeral.